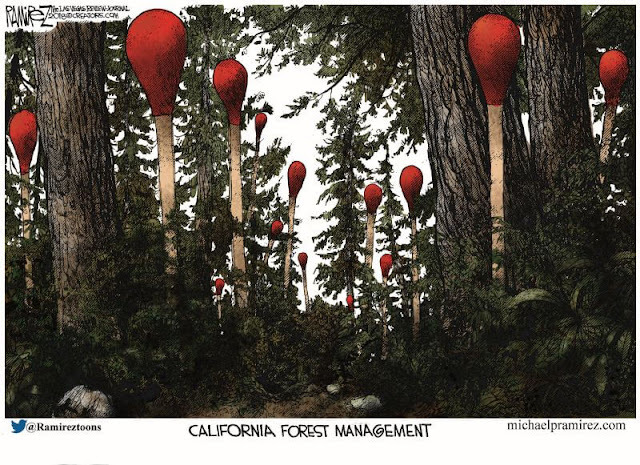 The cartoon below brutally illustrates exactly how the State of California manages its forests and helps to explain the recent wildfires there. The truth about the fires and weather isnt going to be easy to swallow. The Camp Fire started on federal land, and was lit by sparks from faulty private power infrastructure. So, where doe the state of CA fit in?